When I first installed the card, bluetooth worked but wifi did not. OSXwifi did not respond to any of my emails. So I took apart my Mac Pro (AGAIN) and reinstalled the card. 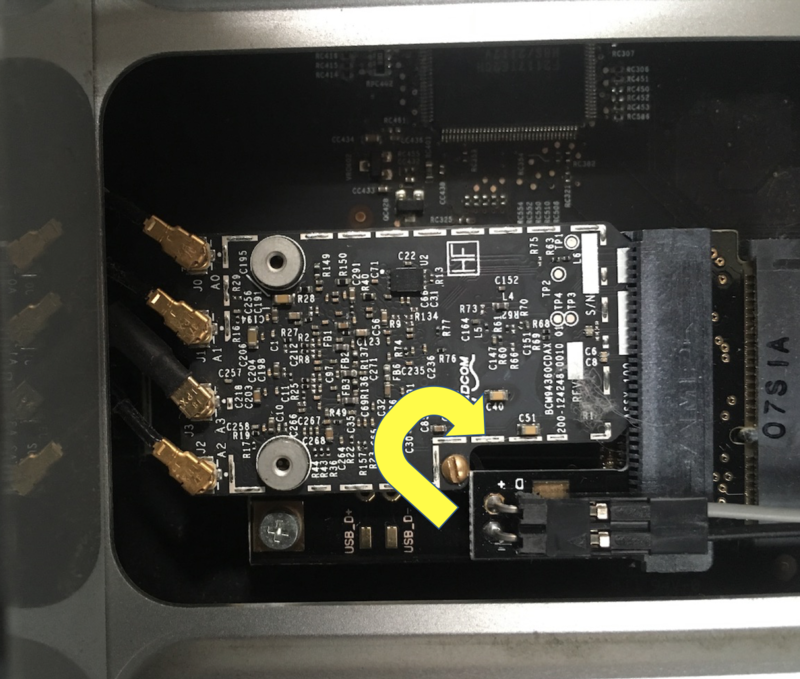 If found that my broadcom card was not quite centered in the carrier card perfectly. It's only held in place by one screw. I rotated it a bit around the screw as shown below and then after I put everything back together again everything worked.